This color periodic table wallpaper has a slight 3D effect where each tile has a bevelled glassy appearance like a crystal. 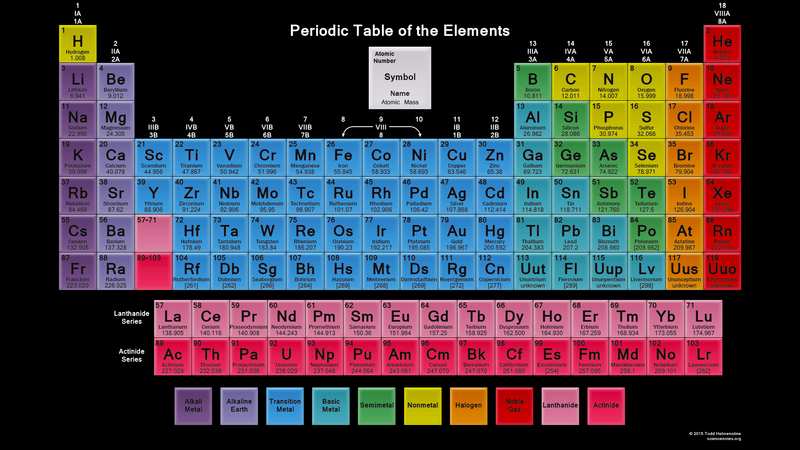 The different colors represent the different element groups. 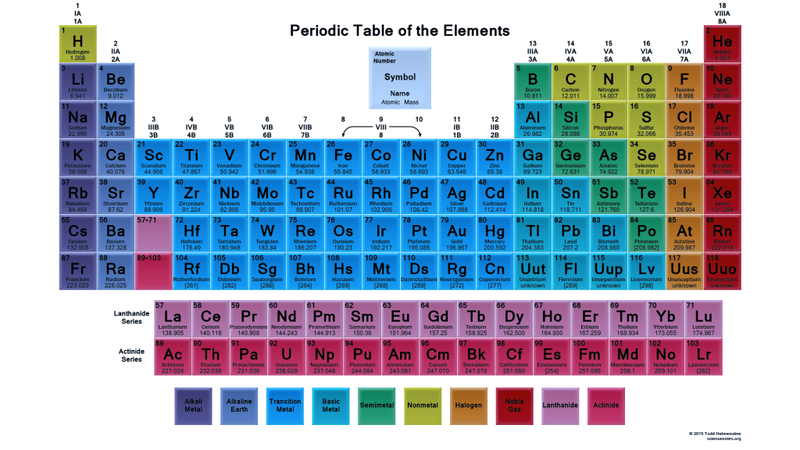 Each crystal tile contains the element’s atomic number, symbol, name and atomic mass. The wallpaper is 1920×1080 and suitable for all HD widescreen monitors. Click the image for the full-sized version. If you’d like to print a copy, a PDF version is available. Remember to choose “Landscape” and “Fit” for your print options. This is the same table with a black background. This table has a higher contrast and not as bright on your desktop, but the colors really stand out.